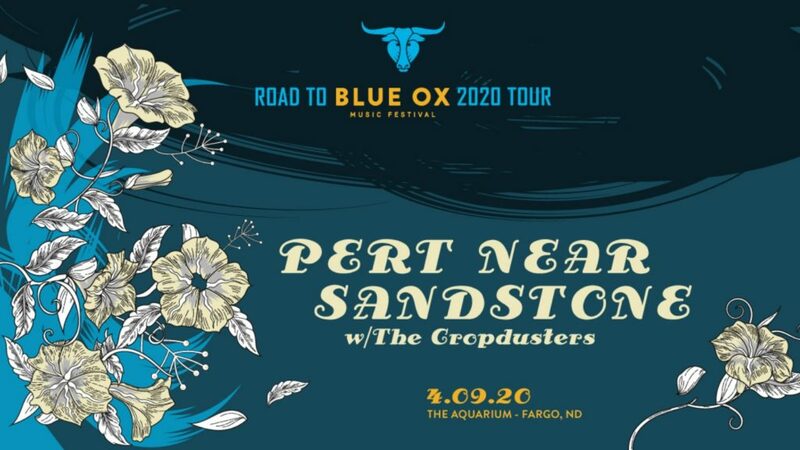 Get tickets by clicking the link above, or in person at the Bismarck Event Center box office (315 S 5th Street, open 11:30 a.m. to 5 p.m. Monday – Friday), or by calling (800) 514-3849. Led by charismatic vocalist/guitarist Lzzy Hale, Pennsylvania-based post-grunge/metal quartet Halestorm have become one of the most successful female-fronted hard rock groups of the early 21st century. 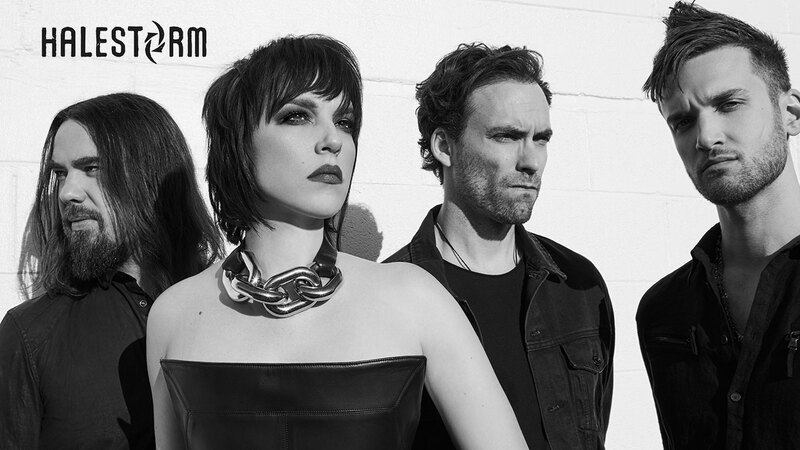 With an aggressive yet hook-heavy sound that has become a fixture of American rock radio, Halestorm have toured restlessly, playing hundreds of shows per year and sharing the stage with nearly all of the popular American hard rock acts of their era. In 2013 the band took a Grammy award for Best Hard Rock/Metal Performance for the single “Love Bites (So Do I)”, which appeared on their sophomore studio effort, The Strange Case Of… Since debuting in 2009, they’ve proven to be equally adept at muscular hard rockers and piano-driven power ballads, and their sound has branched out to include elements of dance music and pop-country. Siblings Elizabeth and Arejay Hale, the core members of the hard rock band Halestorm, formed the group in late 1997 near York, Pennsylvania, with Arejay on drums and Elizabeth on vocals and keyboard. Wanting to expand their sound, the duo invited their father, Roger, to play bass with the band. Soon after their first professional gig in 1998 at the Blue Mountain Coffee House in Hershey, Pennsylvania, Halestorm added various guitar players and released an EP, 1999’s (Don’t Mess with The) Time Man. More lineup changes occurred, but Halestorm finally solidified with Elizabeth (who was by then going by Lzzy) on vocals and guitar, Josh Smith on bass, Arejay on drums, and Joe Hottinger on guitar. The band caught the attention of producer David Ivory as well as Atlantic Records — both were involved in the band’s major-label debut, 2006’s One and Done, a five-song EP recorded live at a show in Philadelphia. 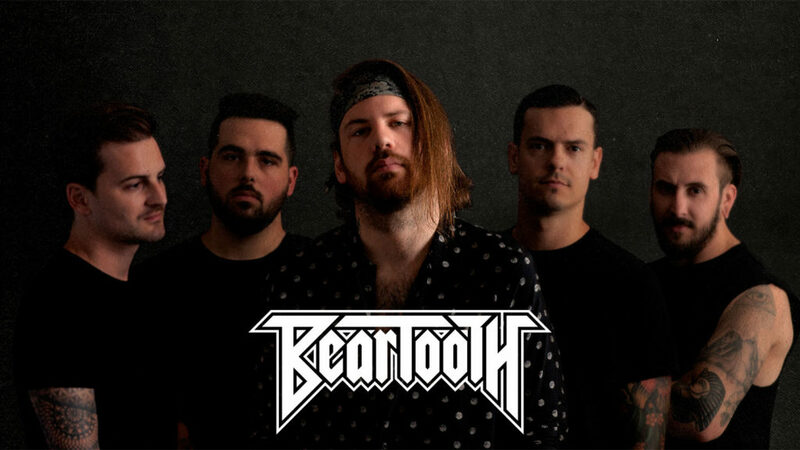 They would finally make their full-length studio debut in 2009 with the eponymous Halestorm, all the while maintaining a rigorous touring schedule that would see them playing upwards of 250 shows a year. The following year, Halestorm released the concert recording Live in Philly 2010, and Reanimate: The Covers EP appeared in 2011, featuring the band’s takes on songs by Heart, Guns N’ Roses, and Lady Gaga. Their sophomore album, The Strange Case Of…, followed in 2012, and the single “Love Bites (So Do I)” earned the group a Grammy Award for Best Hard Rock/Metal Performance. Reanimate 2.0 was released in 2013, this time finding the band tackling Fleetwood Mac, Daft Punk, and Marilyn Manson. The band’s eclectic third studio long-player, the Jay Joyce-produced Into the Wild Life, was released in April 2015, and was preceded by the single “Apocalyptic.” The live EP Into the Wild Live: Chicago arrived in 2016, followed in early 2017 by their third covers set, Reanimate 3.0, which featured songs by Whitesnake, Metallica, and Soundgarden. Vicious, the band’s fourth studio long-player, followed in July 2018.